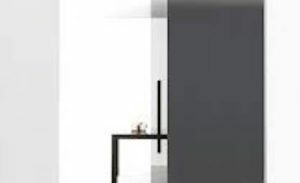 Blow swing door Albed Italy. 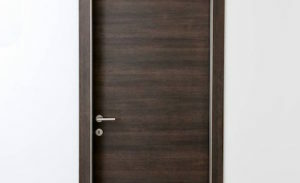 Habits are hard to lose, but when faced with the ELEGANCE of the BLOW door, one is faced with the essence of simplicity. The vertical grip of the handle becomes a natural operation. 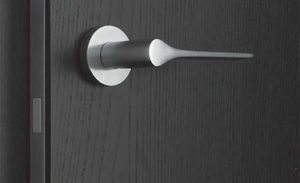 The door panel is no longer flat, its form shapes into a wave and the handle is its inside groove.